New test release available! A lot of work was done since October. What is new: Alpha-N, gas injection, barometric correction etc. 14-08-2017 Full sequential injection support added! Full sequential support added in the SECU-3 software! 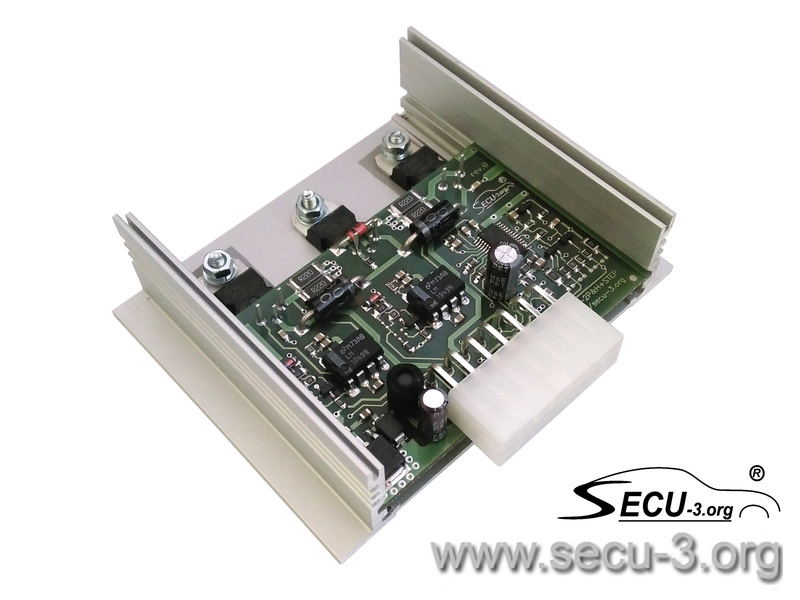 SECU-3T unit supports up to 6 channels of the full sequential injection. 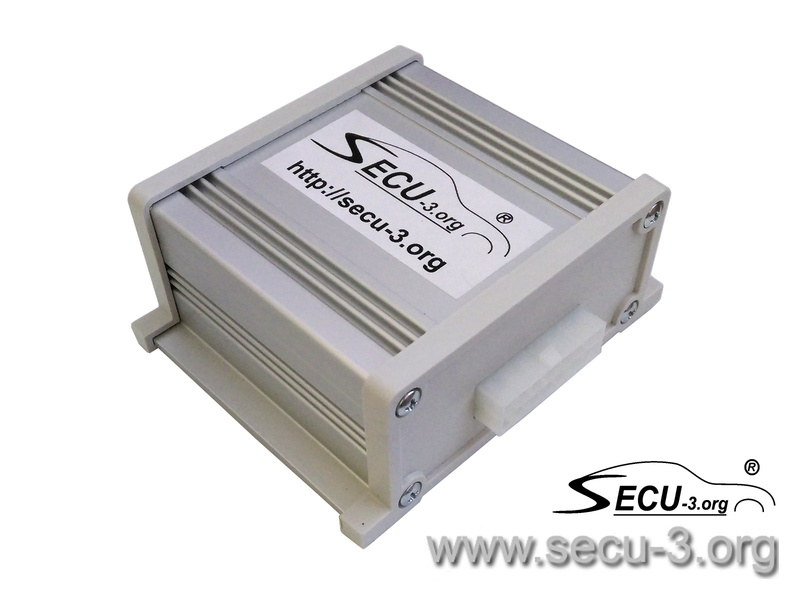 SECU-3i unit supports up to 8 channels of the full sequential injection. 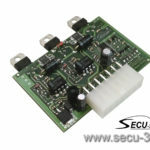 Test firmware and SECU-3 Manager. First test release for SECU-3i published today! 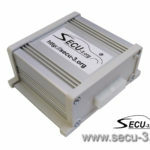 Archive with firmware files and SECU-3 Manager can be downloaded here. 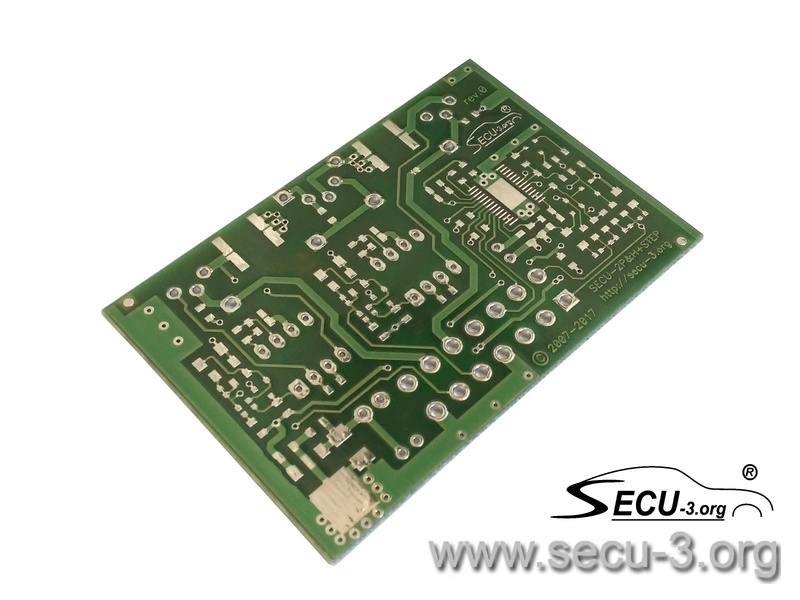 Documentation for manual soldering of the SECU-2P&H+STEP added. The SECU-3 project was 10 years old! 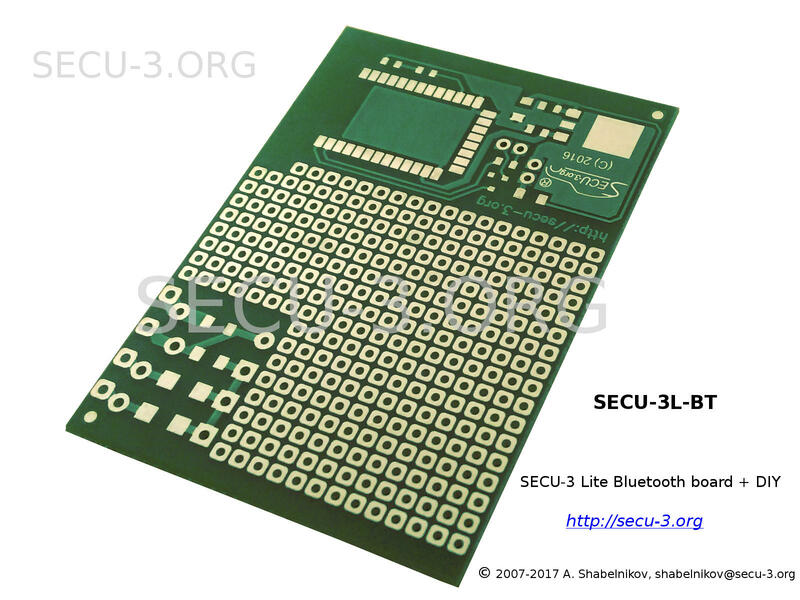 At this time in 2007 I developed schematic diagram of the the first version of SECU-3 ECU. 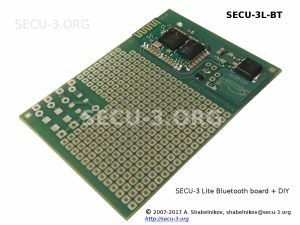 19-03-2017 SECU-2P&H+STEP driver unit developed! 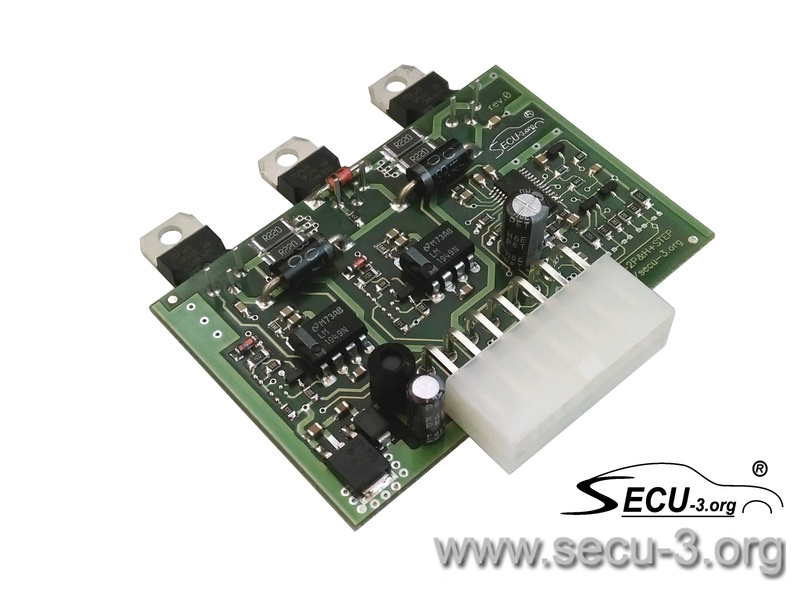 SECU-2P&H+STEP driver unit developed!. Contains driver for P&H injectors (2 channels) and driver for stepper motor (bipolar/unipolar SM). 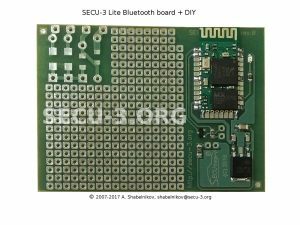 01-02-2017 Bluetooth boards for SECU-3 Lite ECU developed! 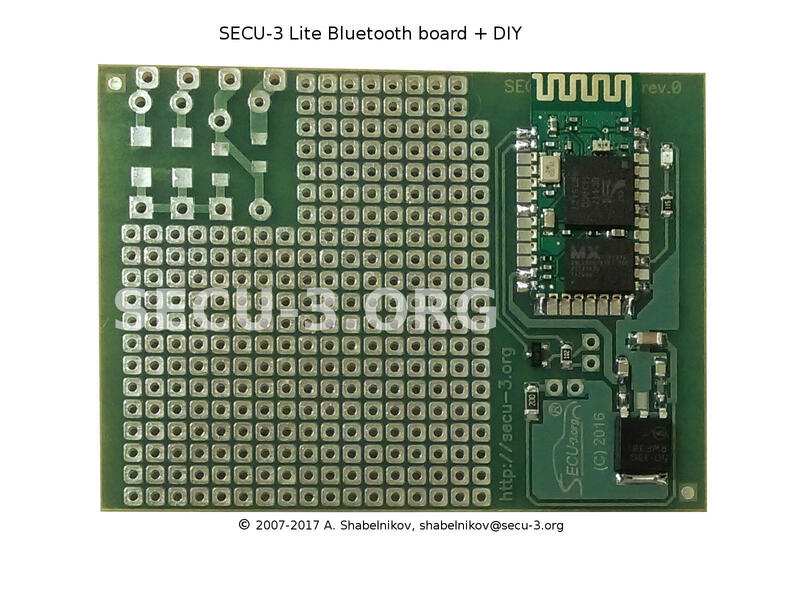 Bluetooth boards for SECU-3 Lite ECU developed! 19-01-2017 New software release is made (v4.6)! 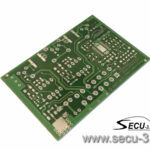 New software release is available (SECU-3 firmware, SECU-3 Manager). 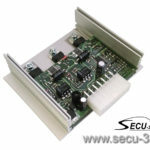 SECU-T, SECU-3 Lite and SECU-3 Micro units are supported by this release. File secu3app.7z contains 54 different firmware files (different configurations). The archive contains file release.txt which has the description of all firmware files. File secu3man.7z contains the executable file and the libraries of SECU-3 Manager. SECU-3 Manager in the form of single executable file is here (operates on MS Windows, but doesn’t operate on Wine). A 3D map for injection timing (MAP, RPM) was added, which can be edited in the real time. And besides, special check mark appeared on the “Injection” parameters tab, that allows you to choose how injection phase will be calculated – from the mentioned table or simply from the parameter “Injection timing”. At the request of users, SEND_INST_VAL compile option has been added in the firmware and used by default. 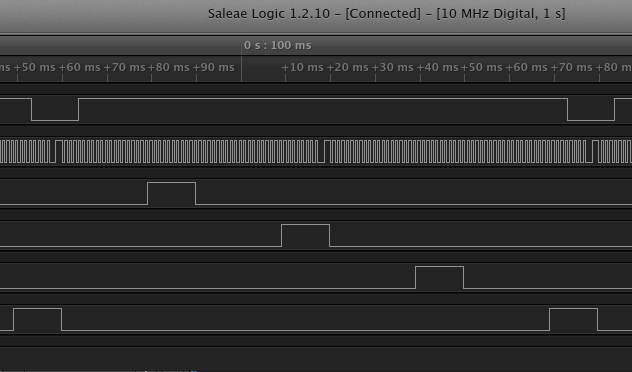 This option turns off the averaging of the RPM, board voltage, MAP and ADD_I1 input in the firmware. Averaging of these values made in the SECU-3 Manager before displaying of values (while in the log are wrote not averaged values). In the SECU-3 Manager, in tables’ editing windows it is possible to specify moving step for points (see item “Points’ moving step…” in the popup menu). Thus, it is now more convenient to move the point using arrows on your keyboard. 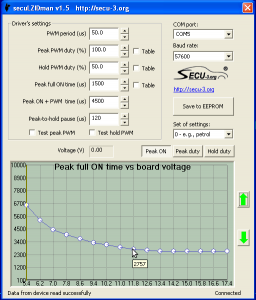 In the SECU-3 Manager, on the parameters’ tab “4:Functions”, selection of the engine load measurement method has been added (selection between MAP and TPS). In current implementation, selection of a TPS is equal just to connecting it instead of MAP. Implementation of this feature will be improved in the future. In the SECU-3 Manager, on the parameters’ tab “10:Misc”, a check mark has been added, which allows to enable/disable turning off of petrol injectors when switching to gas fuel (high level at the GAS_V input). 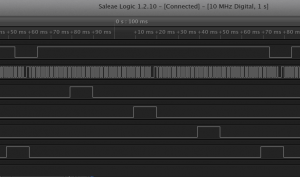 For “gourmets”, the ability to use the PA4 port of MCU as an input for octane-correction has added (see. PA4_INP_IGNTIM firmware compile option). You probably will be interested in this topic on the our forum (Russian). Working of the idling regulator (acts by means of alternation of ignition timing) was slightly improved, namely delay of regulator’s activation after working to idle transient (1.5 sec.). IAT correction for stepper gas valve has been added. Possible Check Engine CKP sensor error fixed. This error appeared if engine stall for some reasons when ignition is on. Fixed bug with REF_S input, which proper functioning was broken in previous releases (since 4.4). 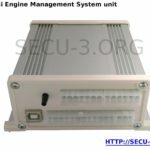 SECU-3 Manager. Now check boxes in the window of import/export of tables looks good and quite readable. Additional tool tips (context help) were added into the SECU-3 Manager.